TORONTO - A public memorial service will be held Saturday in Mississauga, Ont., for Steve Montador, the former NHL defenceman who died unexpectedly Sunday at the age of 35. Montador's life will be honoured at the Mississauga Convention Centre and with an even heavier heart after his son was born Thursday. Private services for family and friends were being held Thursday and Friday evenings, according to his death notice. The cause of Montador's death has not been determined yet although Peel Region Police said foul play was not suspected. Montador's family said any donations in his honour may be made to Right to Play, Parachute Canada or Canadian Sports Concussion Research Project, charities he supported. 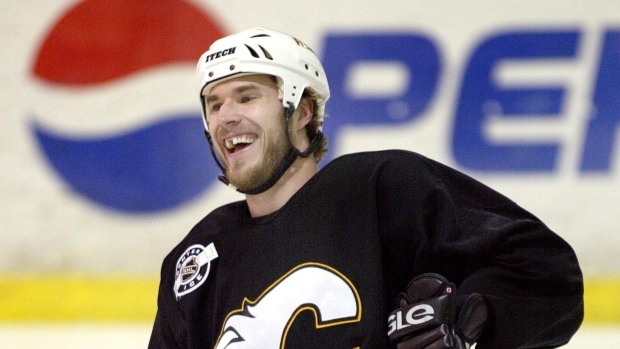 The Vancouver native played 571 career NHL games for the Calgary Flames, Florida Panthers, Buffalo Sabres, Chicago Blackhawks, Boston Bruins and Anaheim Ducks before settling in Mississauga after retiring.